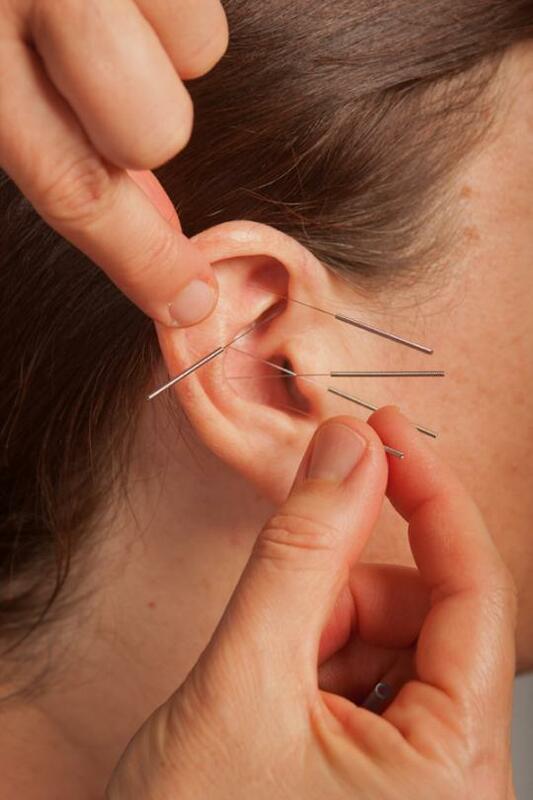 Auricular acupuncture or “ear acupuncture” uses specific points on the outer ear to treat the body, similar to the reflexes used in the more familiar foot reflexology. By stimulating specific points in the ear the body’s internal organs, limbs, and nervous system can be treated. A specific set of points was developed by the National Acupuncture Detoxification Association and is referred to as the “NADA Protocol”. This consists of 5 points in each ear that treats Heart, Kidney, Liver, Lung and autonomic nervous systems. NADA points have been found to decrease anxiety, agitation and insomnia and are being used in the treatment of PTSD, substance misuse and detoxification. These points can decrease cravings for alcohol and drugs and symptoms of withdrawal. In my practice, I have found the NADA protocol to have a wide range of applications due to the positive effect it has on the nervous system. By calming the nervous system we can interrupt the cycle of pain and mental thought loops to help release neck and shoulder tightness, TMJ, back pain, headaches and many other conditions. I have seen patients who are experiencing a high level of stress settle into a peaceful calm within 10 minutes of inserting the needles. Their body relaxes, they breathe deeply and their outlook shifts. Auricular acupuncture is an indispensable tool in my tool box. Used alone it is very effective. But I have found it to be especially powerful in combination with CranioSacral Therapy to address a wide range of pain and imbalance on the physical, emotional and mental levels. For more information please contact me at 951-907-8964 to book an appointment.